One of our goals is to eliminate preventable injuries through planning, training and education for our employees, customers and the general public. We call it Mission ZERO. It’s a good reminder that no matter what project, the first step is always doing what we can to stay safe. We make safety a part of our conversations, and we’re out in the community having those conversations with you. With our outreach programs, we’ll work together to make sure that everyone gets home safely every day. If you have general safety questions or concerns, call us any time at 310-WIRE (9473). If you’re a teacher looking to book a 90-minute presentation, email our ZAP coordinator. 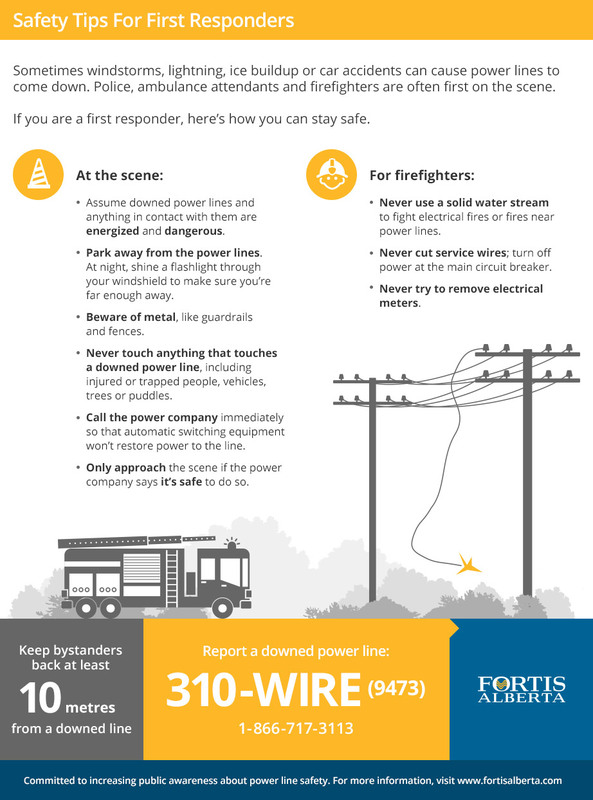 When power lines go down, police, ambulance attendants and firefighters are often the first responders on the scene. We train these first responders so they know how to keep themselves and the public safe while doing their jobs. You can book safety training for first responders by completing the form below, or calling us at 310-WIRE (9473). Operating machinery like gravel trucks, back hoes, delivery trucks and agricultural equipment near power lines can lead to serious injuries. We’ve prepared a brochure for anyone working near power lines, and we’re also available for on-the-job training at your workplace. To book a power line safety session, fill in the form below, or call us at 310-WIRE (9473).